Investing in a beautiful smile is a life changing decision. 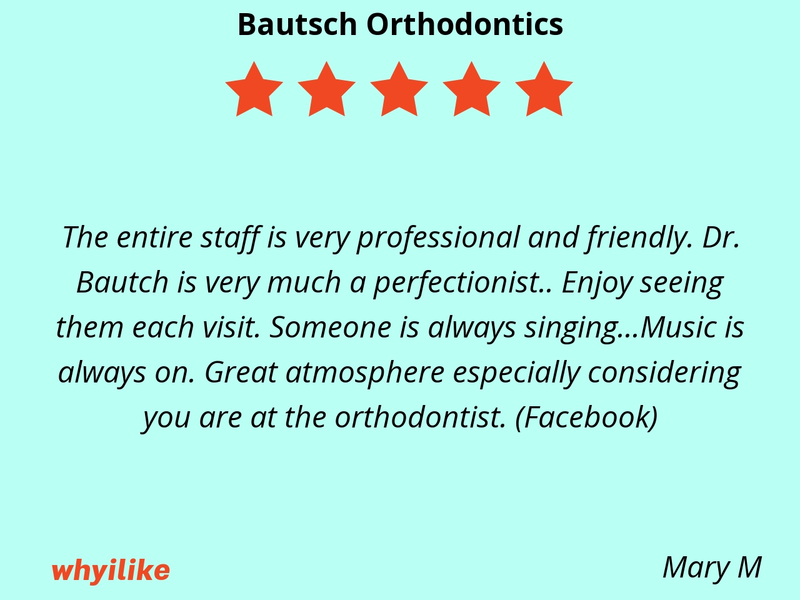 At the office of Dr. Ron Bautsch, we take pride in the art and science of orthodontics, and want to make you feel as welcomed and informed as possible. 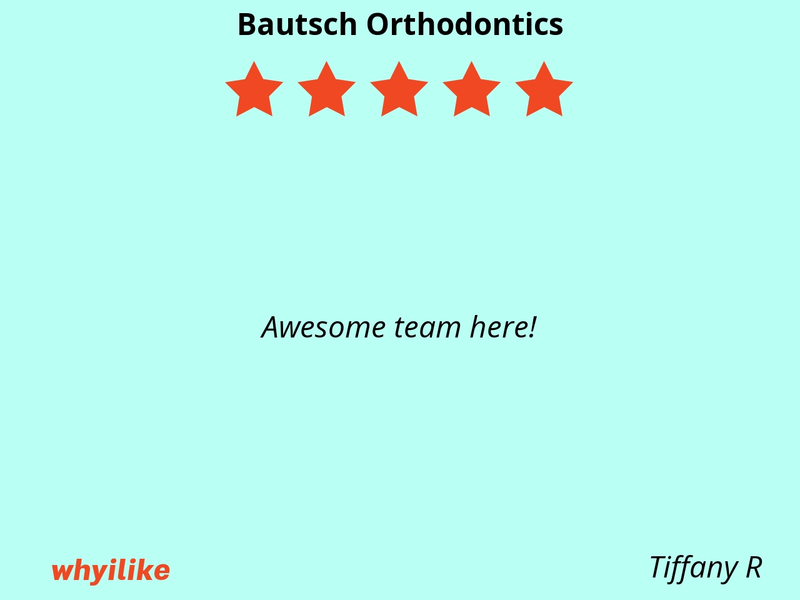 Our team strives to create a casual, friendly atmosphere, where patient care and orthodontic excellence are our utmost priorities. 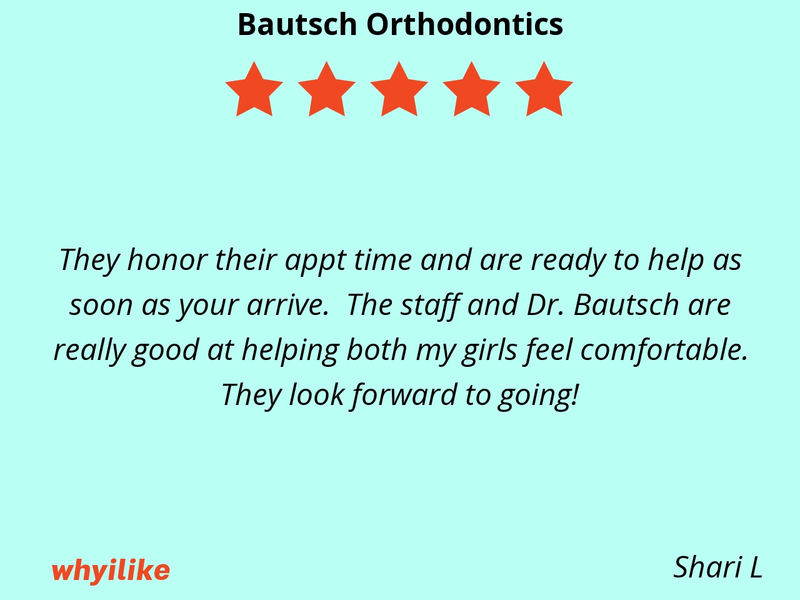 They honor their appt time and are ready to help as soon as your arrive. 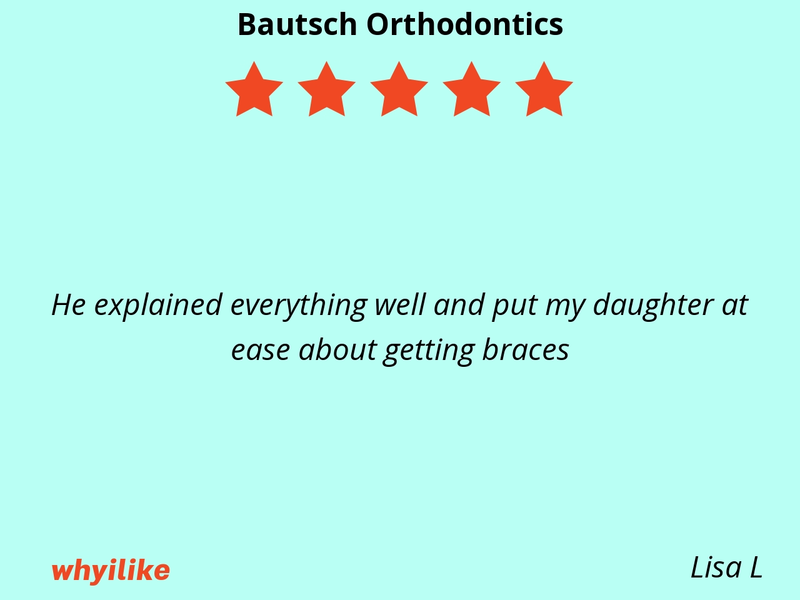 The staff and Dr. Bautsch are really good at helping both my girls feel comfortable. They look forward to going! Dr. Bautsch is the most amazing human being! He truly cares! Excellent bedside manner! And a true professional! Highly highly recommend!! Relaxed office and friendly, knowledgeable staff. Dr..Bautsch is great. 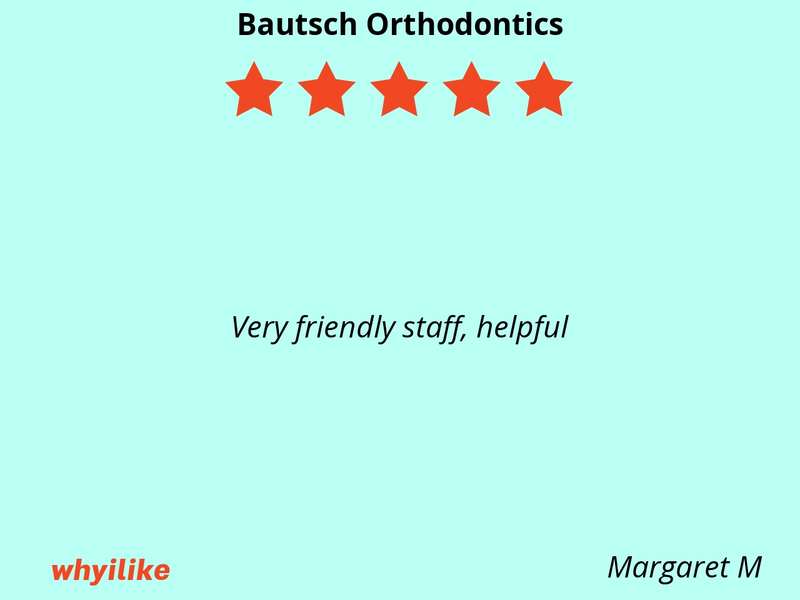 The staff and doctor were very friendly and helpful. 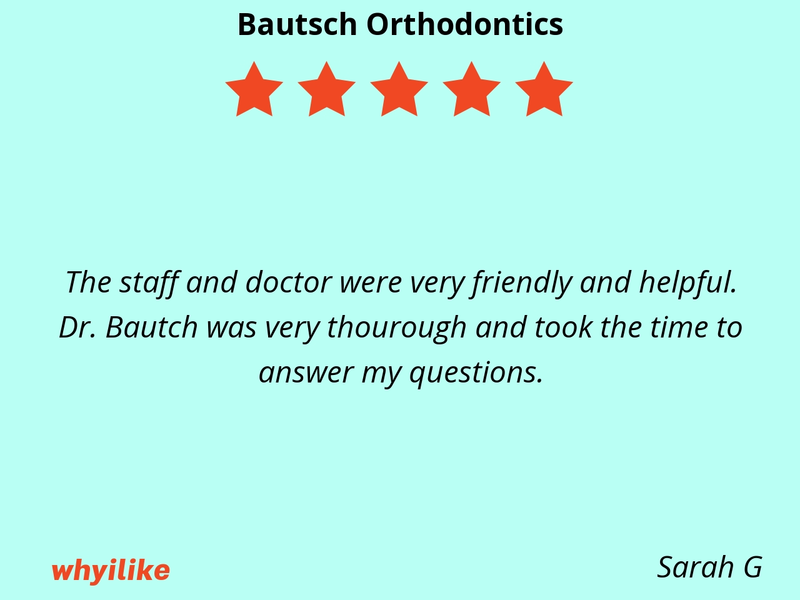 Dr. Bautch was very thourough and took the time to answer my questions. 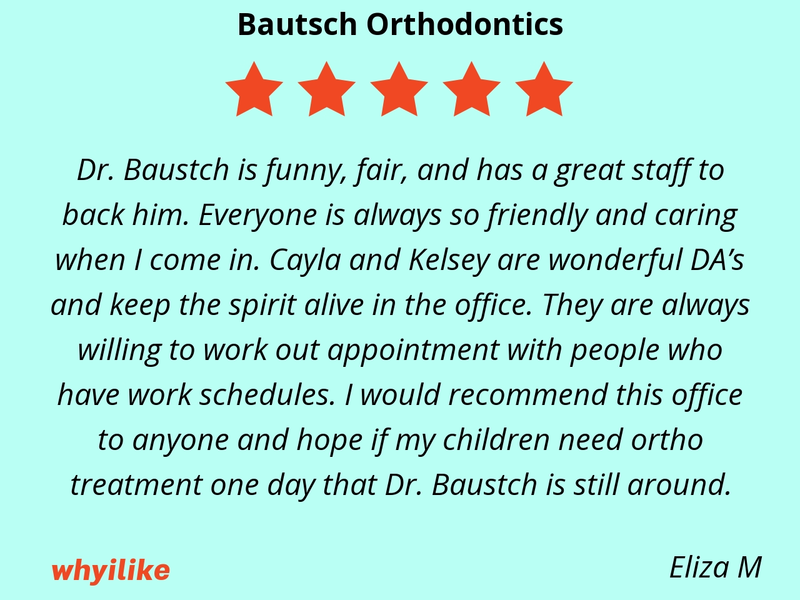 Dr. Bautsch is great with my kids and awesome at what he does. His office and staff are so friendly and personable. We look forward to each appointment. 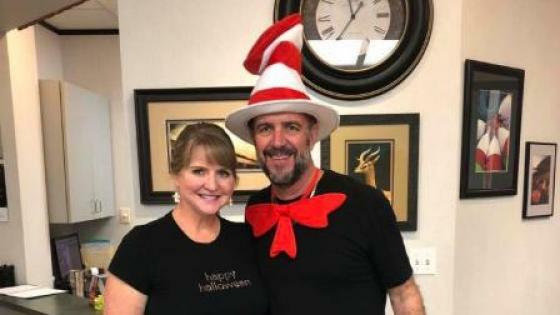 You can't find a better orthodontist. 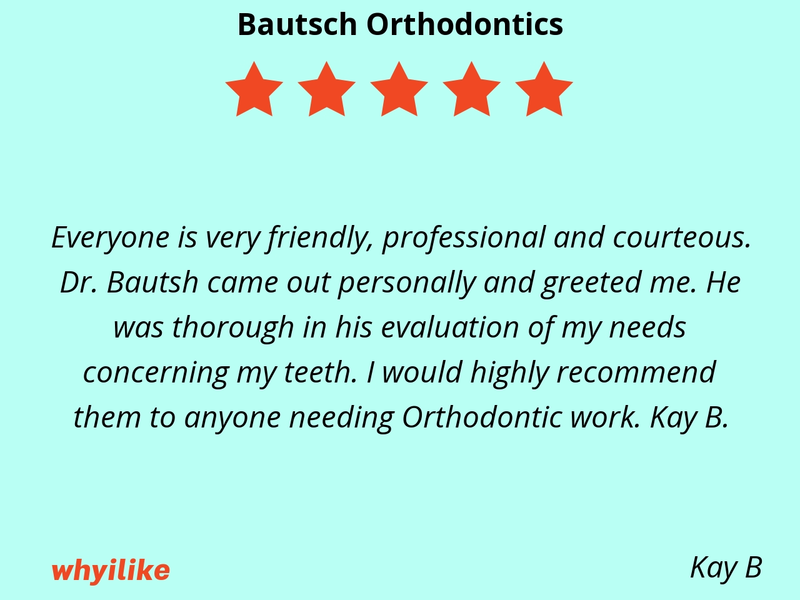 Friendly staff and Dr. Bautsch is extremely knowledgeable and is a wonderful orthodontist! Everyone is very friendly, professional and courteous. Dr. Bautsh came out personally and greeted me. He was thorough in his evaluation of my needs concerning my teeth. 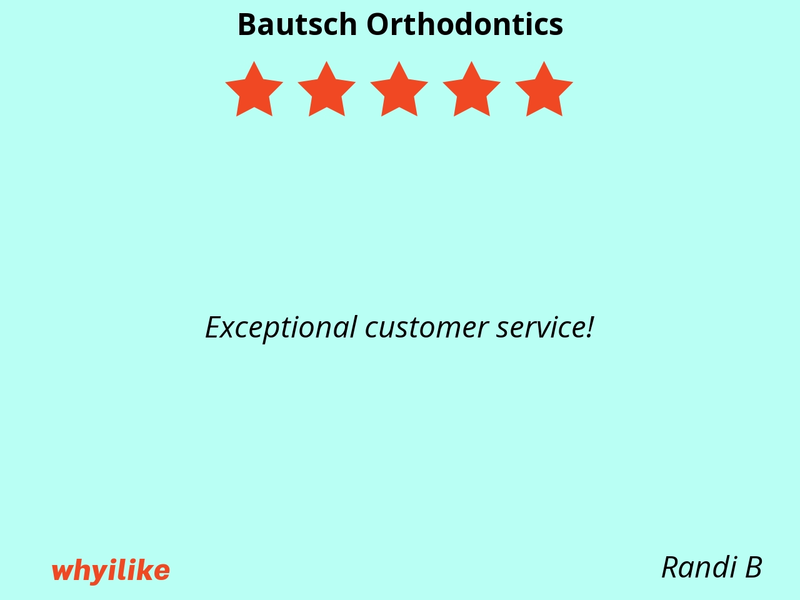 I would highly recommend them to anyone needing Orthodontic work. Kay B. 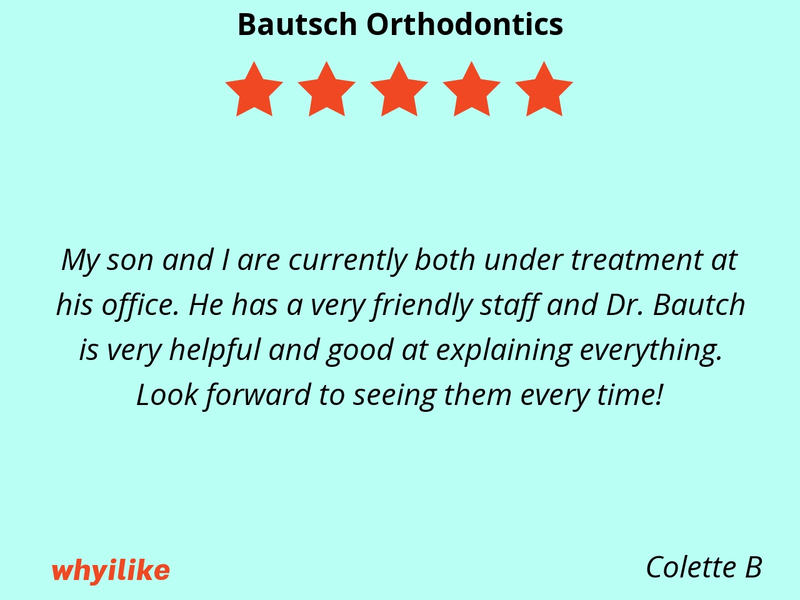 The front office was friendly and inviting and the technician was great at making my son feel comfortable. My son and I are currently both under treatment at his office. 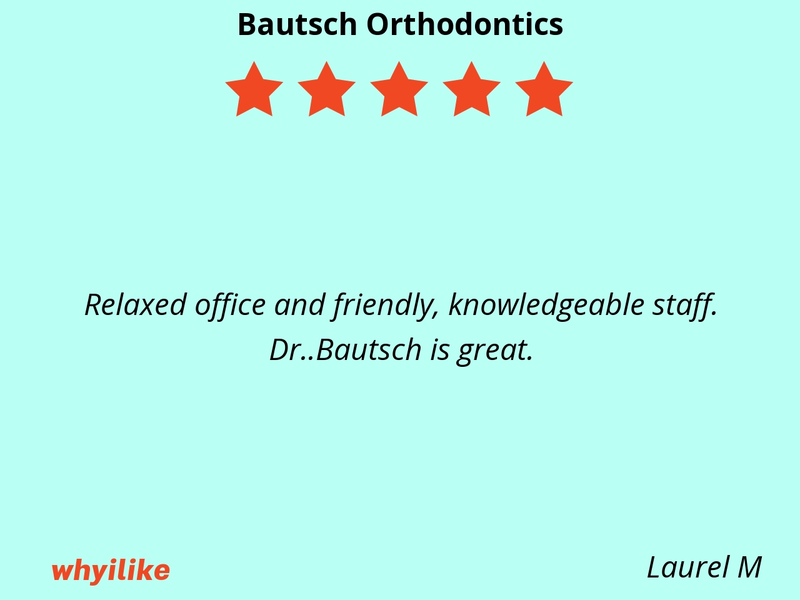 He has a very friendly staff and Dr. Bautch is very helpful and good at explaining everything. Look forward to seeing them every time! Excellent patient care. Attentive and thorough with everything that is done. 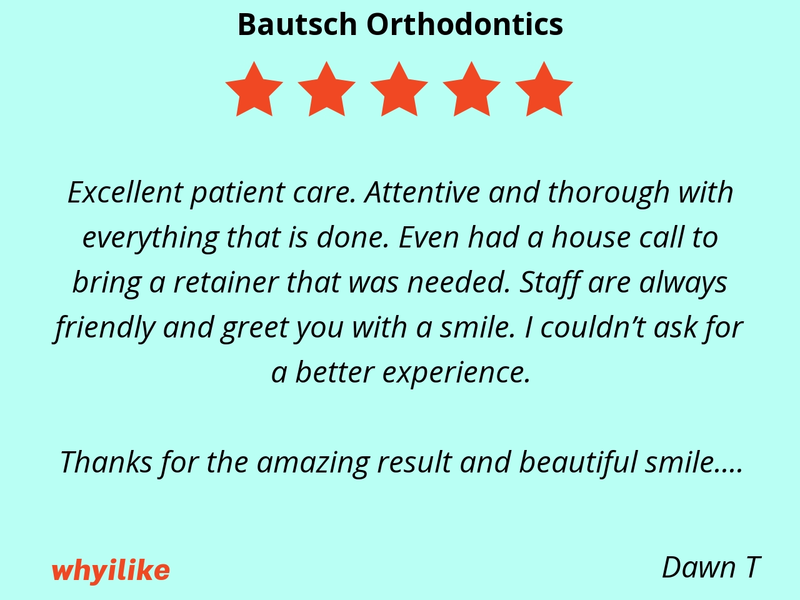 Even had a house call to bring a retainer that was needed. Staff are always friendly and greet you with a smile. I couldn’t ask for a better experience. 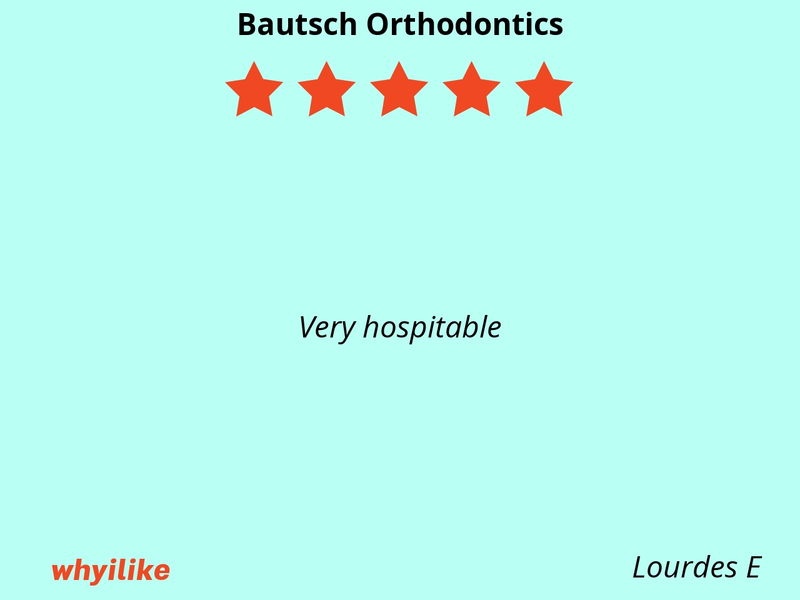 Dr. Baustch is funny, fair, and has a great staff to back him. Everyone is always so friendly and caring when I come in. 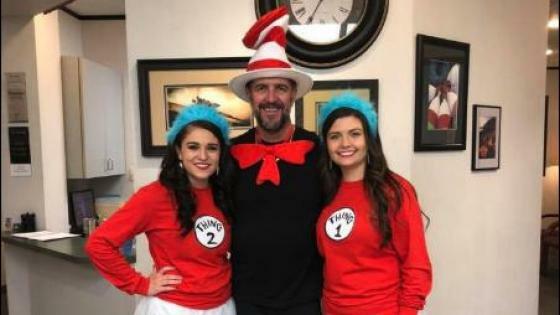 Cayla and Kelsey are wonderful DA’s and keep the spirit alive in the office. They are always willing to work out appointment with people who have work schedules. 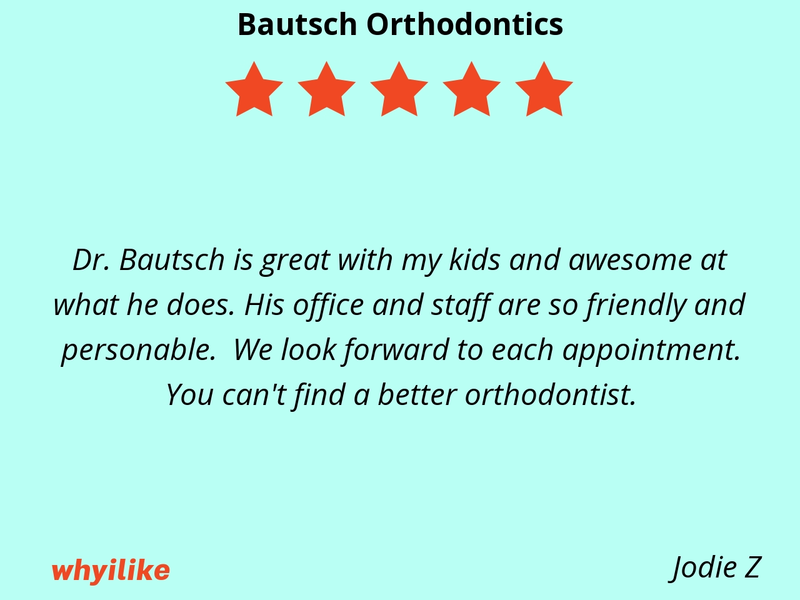 I would recommend this office to anyone and hope if my children need ortho treatment one day that Dr. Baustch is still around. 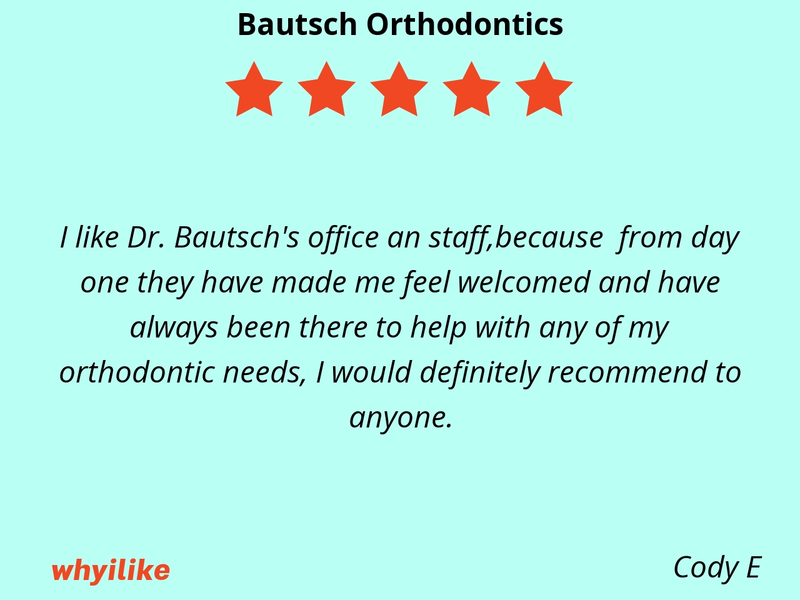 I like Dr. Bautsch's office an staff,because from day one they have made me feel welcomed and have always been there to help with any of my orthodontic needs, I would definitely recommend to anyone. 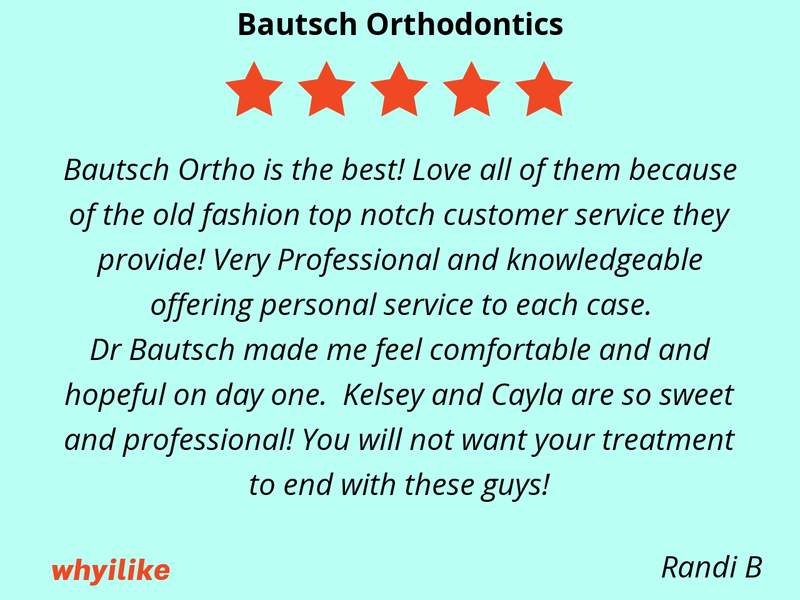 Bautsch Ortho is the best! Love all of them because of the old fashion top notch customer service they provide! Very Professional and knowledgeable offering personal service to each case. Dr Bautsch made me feel comfortable and and hopeful on day one. Kelsey and Cayla are so sweet and professional! You will not want your treatment to end with these guys! 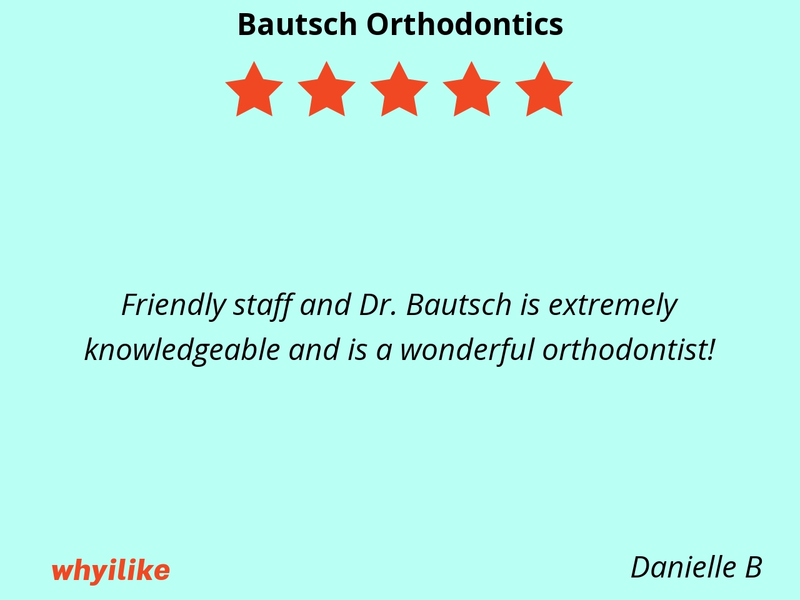 Dr Bautsch has a gentle touch and incredible expertise! 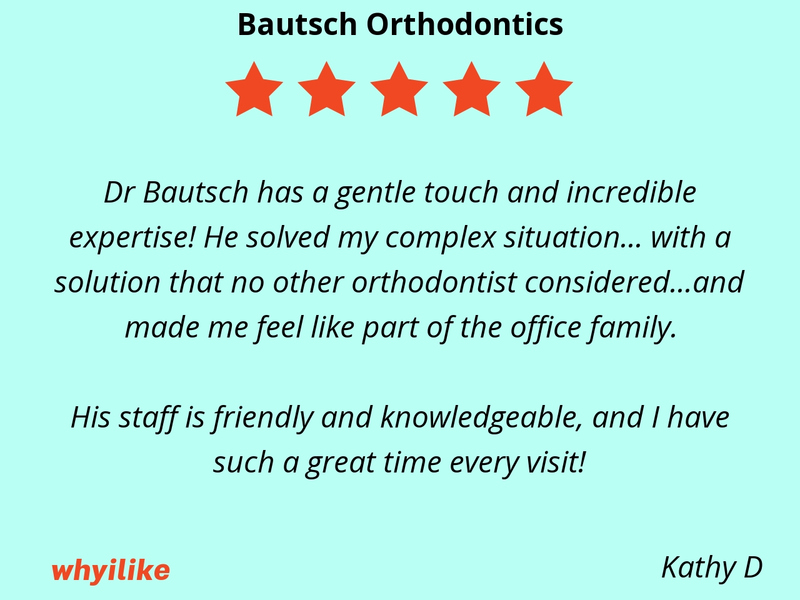 He solved my complex situation... with a solution that no other orthodontist considered...and made me feel like part of the office family. 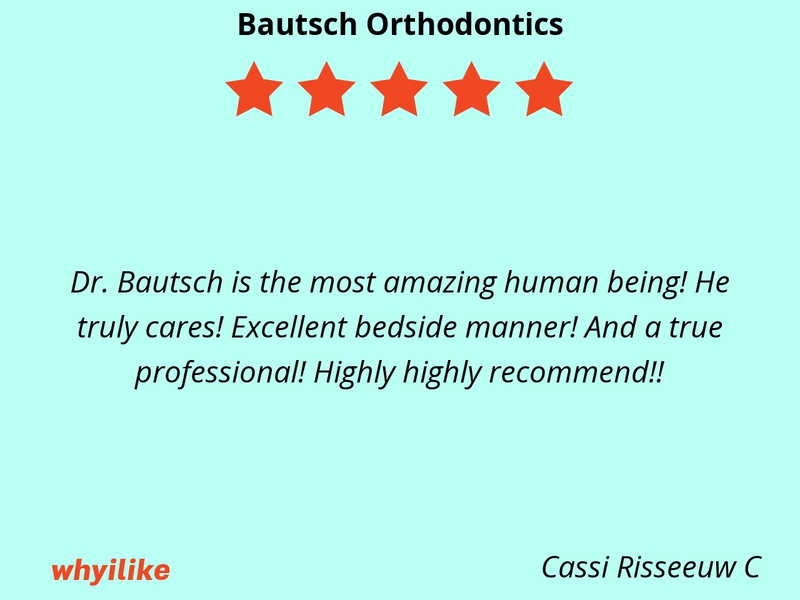 His staff is friendly and knowledgeable, and I have such a great time every visit!